AOTW: Juicerexia: The New Eating Disorder In Disguise - CounterCultural. CounterCouture. How many of us love that glass of chilled orange juice straight from the fridge for breakfast? Or a glass of proper cloudy apple juice on a hot summer’s day? And how many of us have been tempted to live on nothing but smoothies and juices, hoping it will make us slimmer and healthier? I know I have, though my love affair with carbs has normally ended the reality. Well, my dear juice fans, I have news for you. According to Look, there is a new eating disorder in town but this one comes cleverly disguised as a cup of vitamin packed juice. 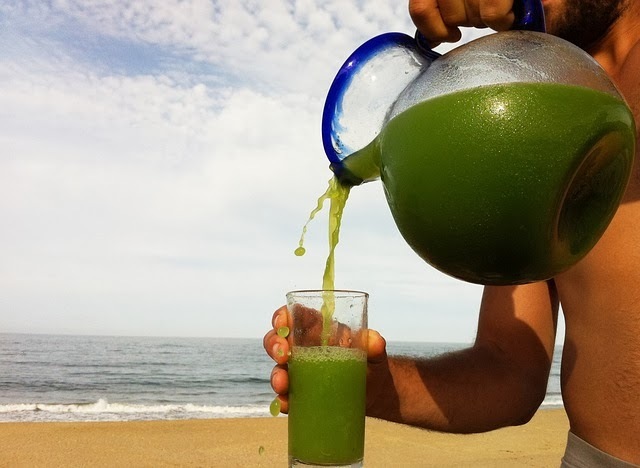 Juicerexia, as the new condition has been dubbed, allows women “to legitimise a worryingly unhealthy and restrictive diet by passing it off as a healthy option”. Apparently, this healthy option can cause symptons as severe as light-headedness and hallucinations, alongside the quick weight loss. Who knew your glass of OJ in the morning could cause more than just sugar highs and cavities (when not part of a balanced diet)! Admittedly, I had been put off regularly drinking juice by Slimming World a long time before reading this article. If you know anything about their food optimising, you’ll understand when I say that all juices and smoothies have a syn count. After all, what do you gain from a glass of juice other than lots of sugar and vitamins? When you think about it in that way, you seriously have to question what is the appeal of a juice detox. According to ex-jucierexic, Lucie Pfaendler, in Look, the appeal is in the fast and effective weight loss. She even admits that during her second cleanse, she lost 11lb in a week. Rely on your body: Our bodies are actually clever enough to remove toxins on their own. They can detox without our help… who knew? Eat your veg whole: No cutting out the fibre. Whole veg equals more nutrients which can only be healthier for our bodies. Choose solids: Keep eating solid food. Simply up the amount of water you drink with your meals. The aim is two litres to maximise your body’s cleansing abilities. Avoid allergens: Basically don’t eat anything that bloats you. She suggests gluten and dairy. I’m just going to avoid the local chippy for a while. So there you have it. Thanks to Look we are aware of the latest eating disorder and how to avoid it. Thanks again for another great article to review.